After you have found a data layer of interest, the next step is to add it to the map. The map is a useful way to appraise your chosen data. It provides you with a visual repreentation of your data, and also enables you to query the data at specific locations. If the dataset has already been added, you will instead have the option to 'Remove,' which will remove your data from your collection. To query your added data layer, simply click any point on the map, on the right of your screen. After doing so, a window will pop up on your screen. 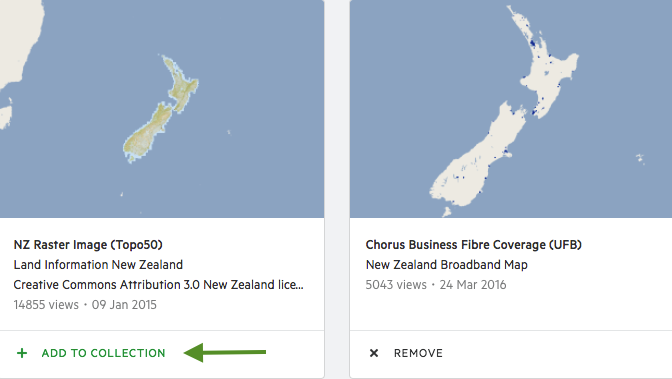 This allows you to inspect specific data values with respect to their location on the map. Click the title of a data layer to view a detailed description, metadata, licensing information and more. If you have added multiple data layers, these will all be displayed in the query pop-up window. 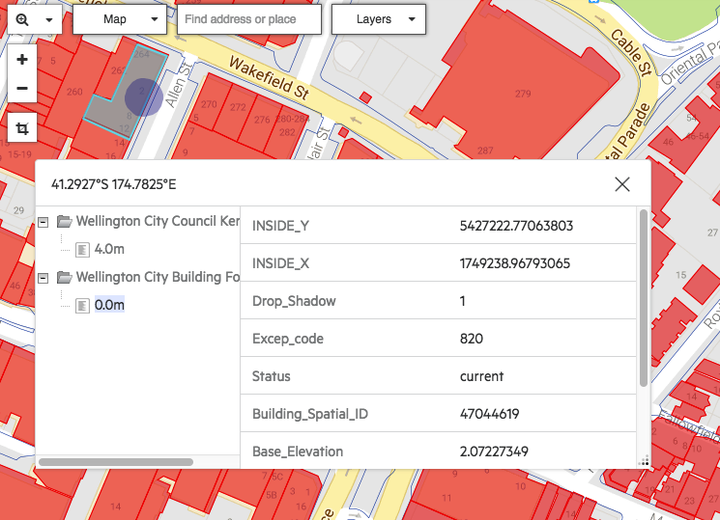 If you click on one of these data layers, you can see, on the right hand side of the box, data values for that specific location on the map. Learn more about simple spatial queries.